The United States is home to many foreign affairs "experts" from various countries around the world. These "experts" are employed by US Think Tanks and invited by the US media to appear on television shows and write Op Ed columns for newspapers whenever there is a significant event anywhere in the world. The analyses and opinions offered by these experts depend on how the United States policymakers view the countries being discussed. If the US sees a nation favorably, the "expert" analyses and opinions are positive and sympathetic toward them. On the other hand, if the US views the nations in question negatively, then these "experts" show hostility toward them. Discussions on India, a current favorite of the United States, often feature Fareed Zakaria who portrays India in a favorable light and its rival Pakistan as the villain in South Asia. Media coverage of the Middle East features "experts" who are almost always always friendly toward Israel. 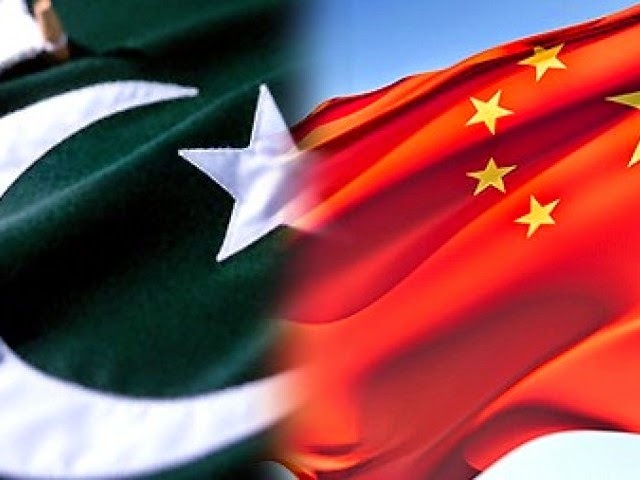 The recent announcement of major Chinese investment in Pakistan during Chinese President Xi Jinping's visit to the South Asian country has received a lot of attention in the mainstream US media. As expected, the "experts" invited by the US media to talk and write about the China-Pakistan Corridor are hostile to both China and Pakistan. "...the promise of Chinese money will lead Pakistan’s leaders to think China will become their economic and military patron. Mr. Xi would do well not to let that happen, and instead to emphasize reform. He shouldn’t forget that money does not always buy Pakistan’s favor or encourage change in Pakistan’s policies. China may actually lose popularity in Pakistan once its companies arrive and demand primacy of economic considerations. Then China might find itself where Pakistan’s previous benefactor, the U.S., is today. After having provided $40 billion in aid to Pakistan since 1950, the U.S. is now viewed favorably by only 14% of Pakistanis." 1. Mr. Haqqani lacks the basic understanding of the key difference between the US aid model and the Chinese assistance paradigm. The United States gave "aid" to the governments of countries in Asia and Africa much of which was siphoned off by corrupt officials. China focuses on infrastructure investments and trade in the developing world. 2. It's Mr. Haqqani's failure to understand the Chinese model that is the basis of his flawed advice to China to repeat the failed policies of the United States in Pakistan. Or is it his wish to see China's investments fail in Pakistan? 3. As to the complaint about lack of US "popularity" in Pakistan, Mr Haqqani as a diplomat should know that bilateral relations between two sovereign nations are based on mutual interests, not love or affection. 4. On Mr. Haqqani's preaching Pakistanis to be grateful to America, I suggest that he asses his own lack of gratitude to Pakistan, the country that nurtured and educated him, and then bestowed on him the honor and prestige of representing it in highly coveted posting as Ambassador to Washington. Haqqani is not alone in being wrong about China and Pakistan. Gordon Chang and Minxin Pei give him good company. "Beijing, despite everything, looks like it is absolutely determined to do whatever it takes to first build and then secure its corridor running through the heart of Pakistan. Its plan, however, is almost certainly misconceived, bound to cause more turmoil in already troubled areas." "Beijing ought to be spending its money at home to shore up its economy, instead of chasing elusive prestige abroad. Empires fall for many reasons. One of them is overreach: the lust for power often drives imperial rulers to extend their commitments beyond what their resources can support. The collapse of the Soviet Union is among the most recent illustrations of the perils of imperial overreach. During the Cold War, Moscow recklessly took on unaffordable security commitments around the world and engaged in an un-winnable arms race against a foe with a much larger economy." To put the above opinions of the two China "experts" in perspective, let me just say that they have both been consistently wrong about China. Gordon Chang wrote "The Coming Collapse of China" back in 2001. Need I say more? Minxin Pei, the other favorite China "expert" in the West, wrote a 2006 book "China's Trapped Transition" that gave a gloomy forecast for China's future. In spite of being consistently wrong, these "experts" continue to enjoy their status as "experts". They peddle what their western patrons want to hear. And they are "gainfully" employed as professors, authors, think tank analysts and media guests in America. India Peaceful, Stable and Prosperous? Their favorite poodle. Namak haraam, he cant stay loyal to his own motherland that gave this middle class road dweller everything a person of his class could dream of, and that is how he is paying back. Tomorrow he will sell himself off to a higher bidder for that is exactly how namak haraam like him act and behave. Hussain Haqqani, Pakistan’s former ambassador to the United States, has strongly opposed the use of American military aid to fight extremists in Pakistan and said instead it will fuel conflict in South Asia. The Obama administration announced this month to sell almost $1 billion worth of attack helicopters, missiles and other equipment to Pakistan. Mr Haqqani said that: “Pakistan’s failure to tackle its jihadist challenge is not the result of a lack of arms but reflects an absence of will. He said: “With nuclear weapons, Pakistan no longer has any reason to feel insecure about being overrun by a larger Indian conventional force. The former ambassador said that unless Pakistan changes its worldview, American weapons will end up being used to fight or menace India and perceived domestic enemies instead of being deployed against jihadists. “Competition with India remains the overriding consideration in Pakistan’s foreign and domestic policies. By aiding Pakistan over the years—some $40 billion since 1950, according to the Congressional Research Service—the US has fed Pakistan’s delusion of being India’s regional military equal. Seeking security against a much larger neighbour is a rational objective but seeking parity with it on a constant basis is not. Instead of selling more military equipment to Pakistan, Mr Haqqani said, US officials should convince Pakistan that its ambitions of rivaling India are akin to Belgium trying to rival France or Germany. Wealthy nations should abandon "political strings" on aid to developing countries, Chinese President Xi Jinping said at a conference Wednesday that aims to strengthen ties between Africa and Asia. More than 30 heads of state are in Jakarta, the capital of Indonesia, for the five-day Asian-African Summit, which commemorates the 1955 conference that laid the foundations for the Cold War-era Non-Aligned Movement (NAM). But as it expands its influence in Africa, many in the West have accused China of ignoring human rights concerns - for instance, by offering "no strings attached" aid packages to countries with authoritarian governments. Xi on Wednesday defended China's foreign aid policy, saying the world's richer countries have a responsibility to fulfill their commitments to developing nations without demanding political concessions. Fifty-seven countries including U.S. allies such as Britain, Germany and France have joined the AIIB as founding members. Others, including the U.S. and Japan, have stayed out, citing concerns over environmental and labor standards, as well as fears that China will use the lender to advance its own foreign policy interests. China hopes to get the bank up and running by the end of the year. His message is simple but uncomfortable - a lot of American help did not buy America lasting popularity with the Pakistani public. Why should Pakistan's love affair with China be any different ? Wise Indian: " His message is simple but uncomfortable - a lot of American help did not buy America lasting popularity with the Pakistani public. Why should Pakistan's love affair with China be any different ?" Husain Haqqani faults Pakistanis for their ingratitude to the US. My question is: Why is Haqqani is so ungrateful to Pakistan, a country that nurtured and educated him and gave him the honor and plum assignment of being Pakistan's ambassador to Washington? Husain Haqqani asks in a recent Wall Street Journal Op Ed: "Why Are We Sending This Attack Helicopter to Pakistan?" Who's "We" in this headline? Isn't Haqqani still a citizen of Pakistan? Or is it a Freudian slip? Per Mr Riaz Pakistan and China have been long term friends due to their mutual animosity towards India. In other words, an enemy of your enemy is your friend. Geopolitics as Mr Riaz would say. Then Pakistan may want to say hello to this older and newer foes. Countries that look at China as a bully among other issues. SK: "Per Mr Riaz Pakistan and China have been long term friends due to their mutual animosity towards India." The big headline for the 21st century is the emergence of China to superpower status and the American attempts to check China's rise. All other geopolitics is subservient to this larger trend. China's big concern is the impact of US Navy and its Asian allies on shipping lanes to and from China to Asia, Africa, Middle East and Europe. China sees Pakistan's role in its this context as helping provide access to these major markets via the Pak-China corridor. How do successful Muslims and Pakistanis living in the west who dislike the west (and typically prefer China and Saudi Arabia and even Russia) think that way? In the west I see tons of opportunity for immigrants, while in China, Saudi Arabia and Russia, they will never ever accept as many immigrants as citizens as they have accepted in the west. In Saudi Arabia and the Middle East, they treat Subcontinentals, Filipinos, Ethiopians and so on like dirt, and lately, they have gone on a Pakistani execution rampage. Pakistani men are not even allowed to marry Saudis or become Saudi citizens for the most part. In China (and Russia and Saudi Arabia), they would never accept as many immigrants as the west has accepted. Moreover, China treats Muslims in Xinjiang brutally and tells them what to wear and how to pray. Russia treats Muslims in Chechnya brutally. In the west, Mulsim population keeps growing and they allow them to dress in Burkhas and build mosques. All in all, it seems to me that a majority of Muslims and especially Pakistanis living in the west seem to be pro Saudi, pro China, pro Russia but secretly hate the countries that have given them their new better life with all the freedom that is missing in their own countries. Jay: "How do successful Muslims and Pakistanis living in the west who dislike the west (and typically prefer China and Saudi Arabia and even Russia) think that way? " Immigrants and foreign-born citizens of America, including Muslims, are every bit as American as those born here. They know the difference between the US government run by politicians and the American people. They know how special interests control the US Congress. They know that many US govt policies at home and abroad have harmed America. They know the Bush's war on terror and invasions of other countries have cost the country dearly in terms of the US lives, economy and poor perception of America abroad. They know US domestic policies have hurt the people. Such policies have helped corporate interests at the expense people, and allowed groups like NRA to sell guns that kill over 30,000 Americans every year. You should listen to and read the work of Americans like Noam Chomsky, Juan Cole, Jon Stewart, Paul Krugman and Elizabeth Warren to learn what I am talking about. During the last Cold War, India sided with USSR, Pak with West. But after the cold war was over, USSR broke up, USA won. But having won, USA ditched Pakiland for India. Why wudnt it be repeated in Cold War-II. China wins, USA breaks up but then China dumps Pakiland for India? I have a piece of good news for you. Pakistan ranks higher (81) than India (117) and China (84) on happiness index. "Pakistan ranks higher (81) than India (117) and China (84) on happiness index." Prof Sahib usually does not take subjective ratings if it shows India as better than pak.